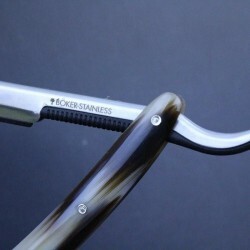 New from Boker the Barbarette combines the benefits of a straight razor and a safety razor. 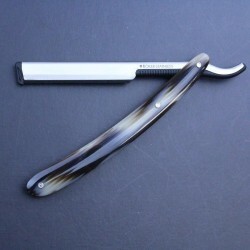 It handles like a straight razor, as it is made to the same dimensions as Boker’s straight razors, but doesn’t need honing or stropping to keep the blade sharp. 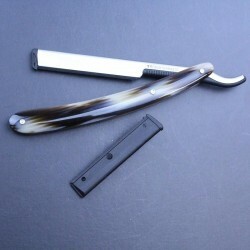 Just simply change the blade when necessary. 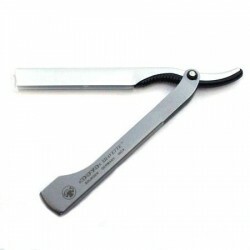 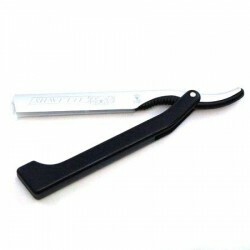 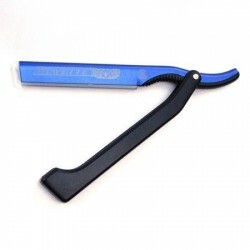 The blade holder is made of stainless steel and moisture resistant plastic and is designed to fit the 43mm standard DE blade, carefully broken in half, as well as the 65mm standard shavette blade. 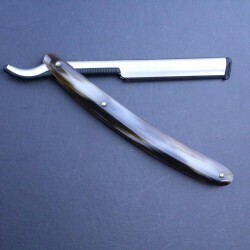 This particular model has artificial horn handles, which is almost indistinguishable from the natural material, ranging in colour from white to dark brown and all combinations in between. 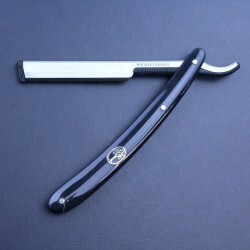 Supplied with a DE blade in a Boker retro styled cardboard box.